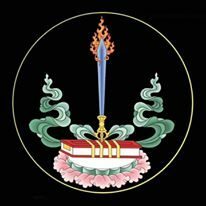 I pay homage to the Vajra Bearing Bhagavān. In that very same state. (Translated from the Tibetan by Erick Tsiknopoulos, November 5th 2017, in the village of Rakkar near Dharamsala, India).